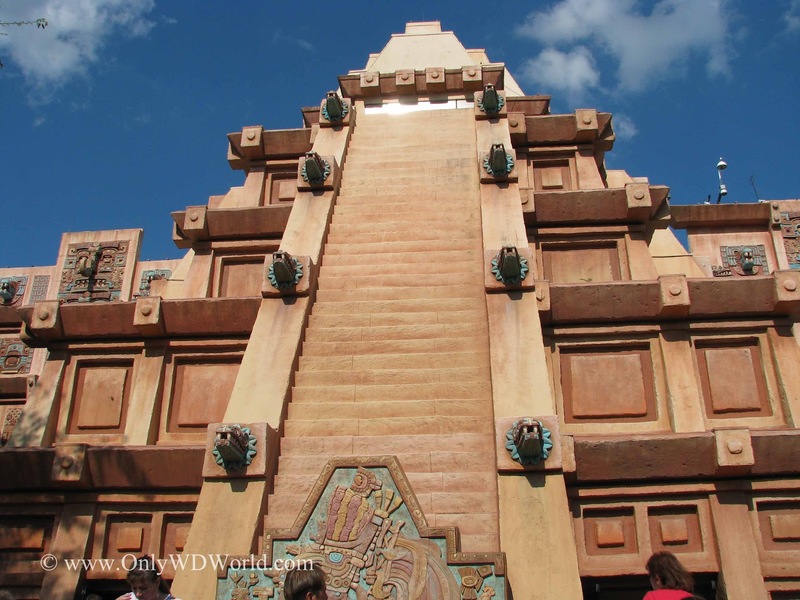 For many who enter Epcot's World Showcase, the Aztec Pyramid is the first landmark that they encounter. 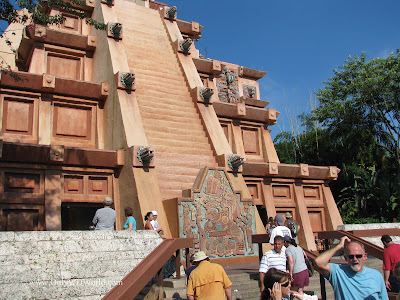 What is not apparent at first glance is all that is contained within the pyramid. 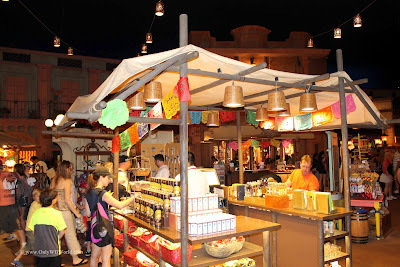 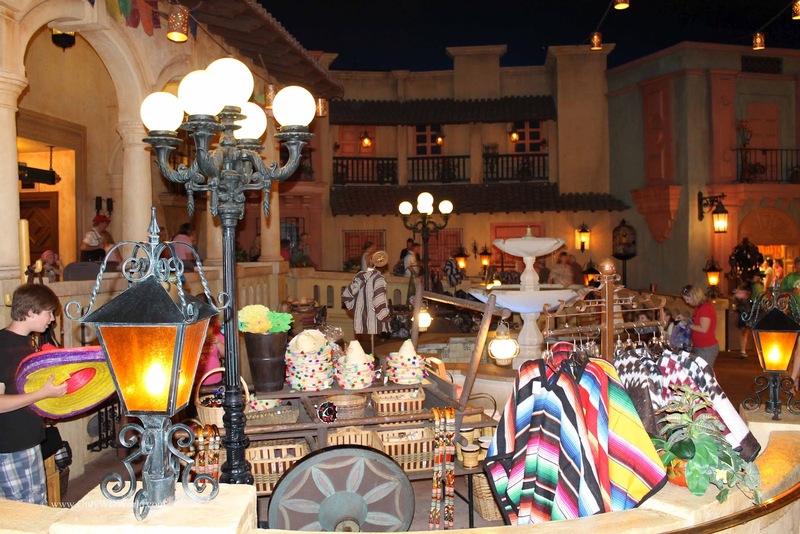 Disney World Guests will find shopping, dining, a tequila bar, and a wonderful boat ride through the history of Mexico. The design of the pyramid itself is actually influenced by a combination of 3rd century A.D. Meso-American styles. 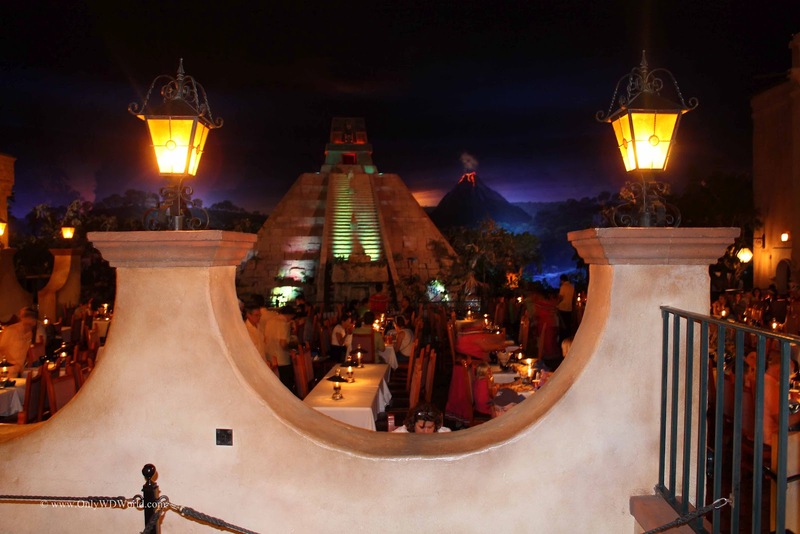 For all that the pyramid offers from the outside it is nothing to compare with what you will find on the inside. 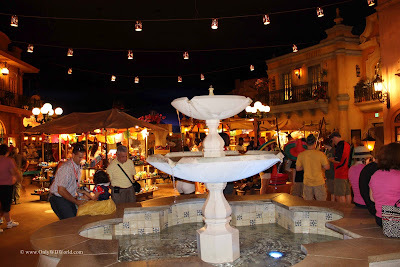 The Disney Imagineers have created a feeling of an outdoor marketplace housed within. 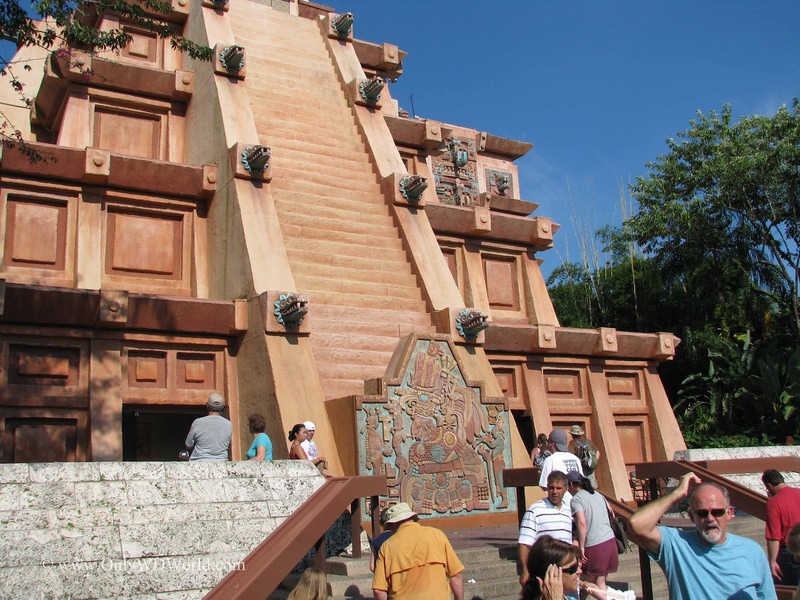 They have successfully combined three different influences on the Mexican culture: Mayan, Toltec, and Aztec in addition to the Spanish influences. 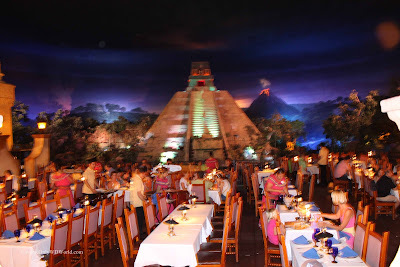 It is a wonderful experience walking through the inside of the pyramid. By adding the element of night time to the setting it becomes even more special. 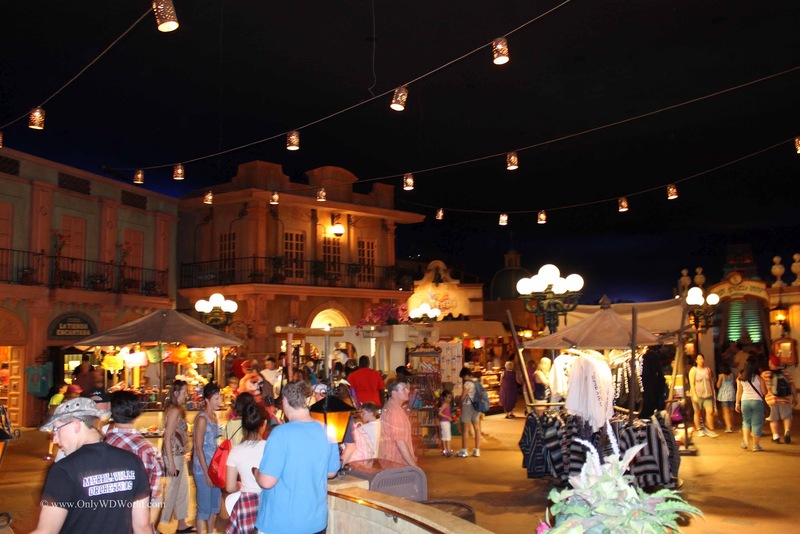 The atmosphere seems to be even more festive. 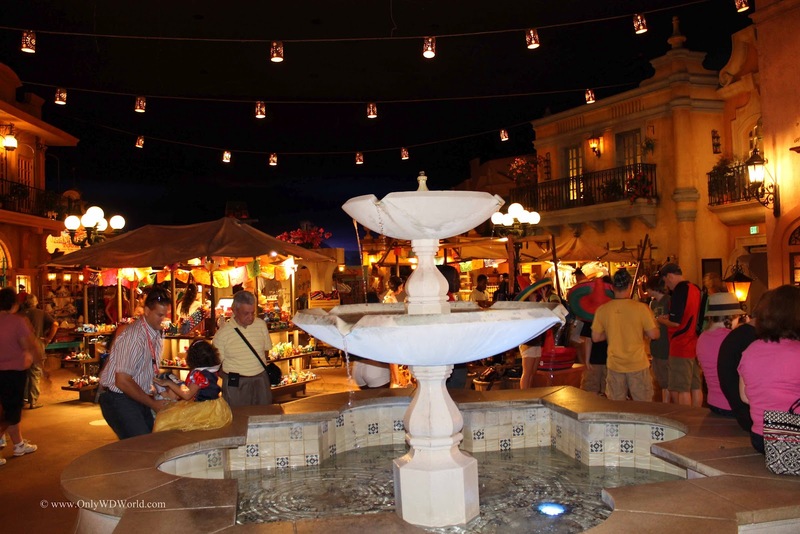 As you stroll the plaza there are numerous items available for sale that were made by Mexican craftsman from various regions of the country. One of the newest additions to the pavilion is called La Cava del Tequila. 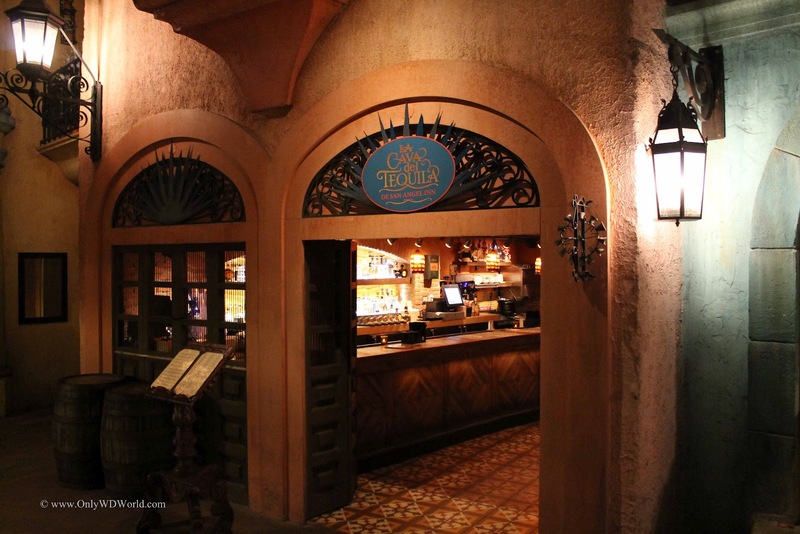 Inside you will find a very impressive Tequila bar featuring over 100 different tequilas served up by knowledgeable staff. 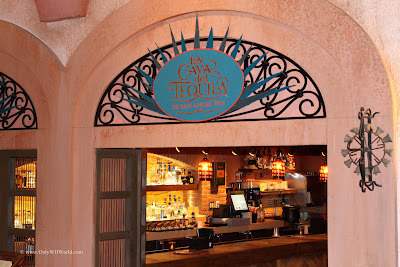 You can also order "tapas" type foods while you are sampling the tequilas or trying on one their many specialty Margaritas. Here not only can you sample a wide variety of tequila, but you can also learn about the history and culture of tequila making. One of the most romantic settings for dining can be found at the San Angel Inn. 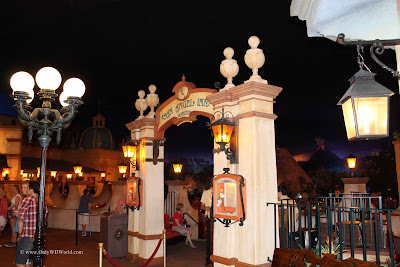 Located within the pavilion along the shore of the River of Time the atmosphere and view is wonderful. Here you can dine on authentic Mexican cuisine in this beautiful setting. 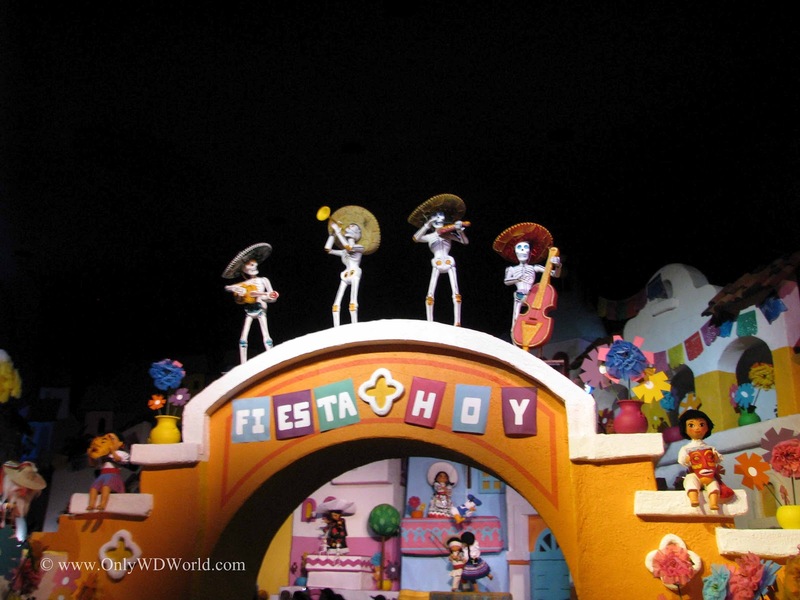 Lastly there is even an attraction to enjoy within the pyramid called the Gran Fiesta Tour Starring The Three Caballeros. The attraction is a slow moving boat ride through scenes depicting Mexican history and culture. 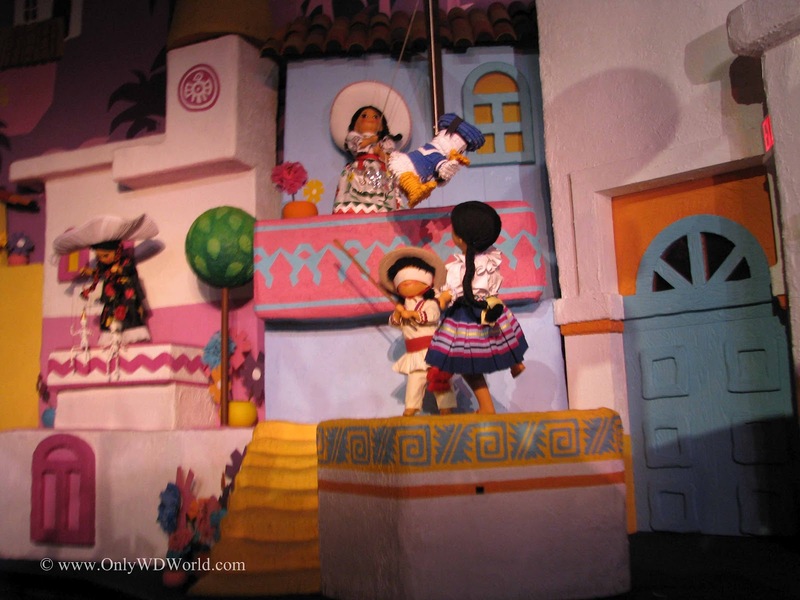 Throughout the attraction you will find characters from the 1944 Disney animated film Three Caballeros starring Donald Duck. 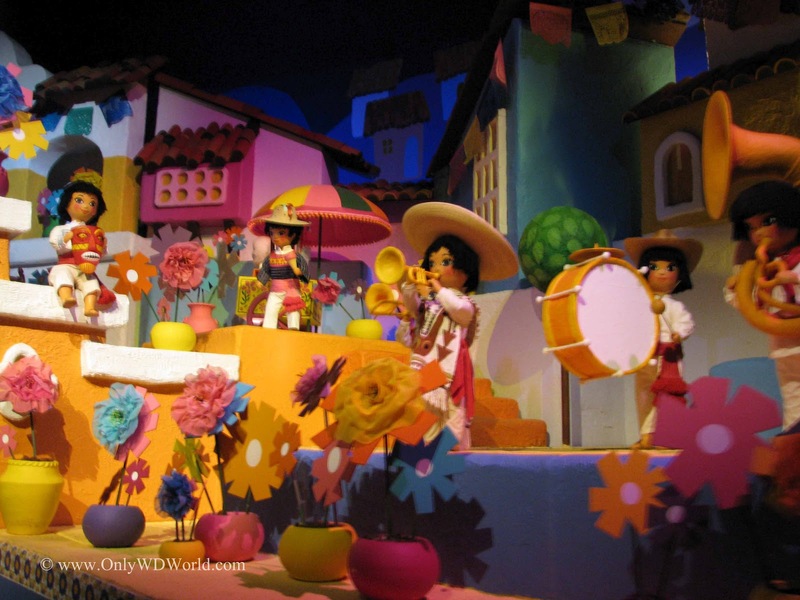 The attraction combines traditional animation superimposed over live-action film clips shot in such stunning locales as Acapulco, Chichen Itza, Manzanillo and Mexico City. 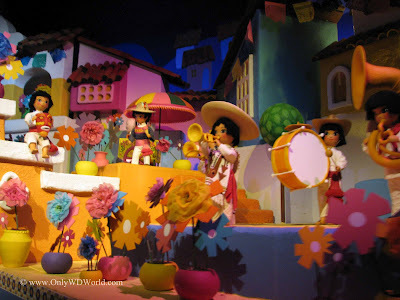 There is also part of the attraction that will make you believe that you have been transported to it's a small world with the use of colorful dolls and scenery. While on your Disney World Vacation make sure that you venture inside the impressive pyramid that dominates the skyline of the Mexico Pavilion in Epcot's World Showcase. With all that it has to offer, this view of Mexico is certainly worth your time. 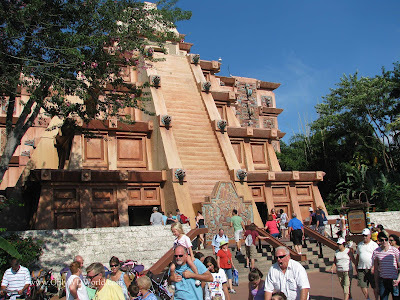 This also makes a wonderful way to beat the heat of the Florida sun and relax for a while. 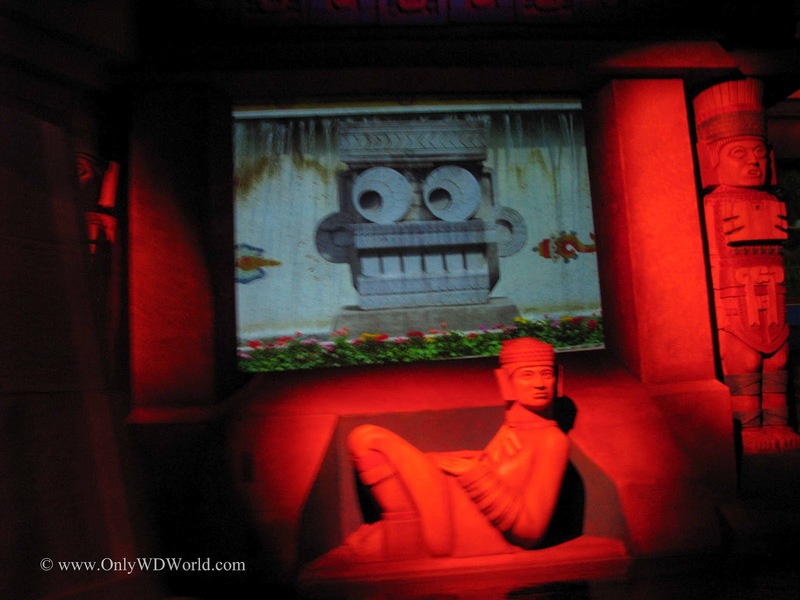 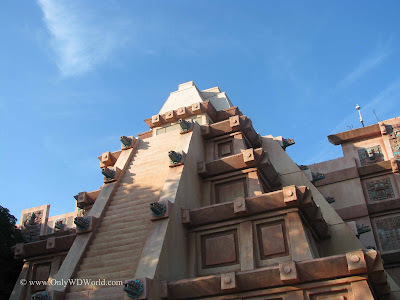 0 comments to "Aztec Pyramid Rules The Skyline of Epcot Mexico Pavilion"